Vegcast has been providing free podcasts on issues of interest to vegans and vegetarians since 2005. All podcasts continue to be downloadable. If you like, you can show your appreciation by donating to Vegcast here. Tell us about YOUR veggie podcast! Site: How Do I Go Vegan? THE 100TH EPISODE OF VEGCAST! Read Vance's new column V FOR VEG in the Daily News! Ginny Messina, RD: Do Ex-Vegans' Stories Make the Case Against Vegan Diets? 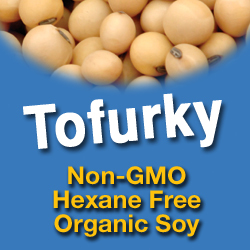 GARY ABRAMOWITZ: FRESH TOFU, INC.
Atkins Diet Mortality: Is Too Much Meat Killing Low-Carb Eaters? Is Watercress the New Cancer-Busting Superfood? Twitition petition ... WE WANT AN HSUS "GO VEGAN" CAMPAIGN!! Music: Saint Mad - "Live"
Nitrous oxide: The last laugh? Event: Join Us on 22 August as Friends of Animals and CARE Say: Let the Deer Be! Fundraiser at Black Olive, July 25, 6:30 p.m.
Environmental Science & Technology: Do food miles matter? Minds of their Own: Animals are smarter than you think. JoAnn Farb - Our Home School Restaurant "Project"
The Word Is 'Leakage' - Accidents may happen with a new OTC diet drug. Confidence in U.S. called key to exports. VEGANICA - Sorry, I said "org" but it's "com." Episode #286 with Vegcast promo Adam Curry Vegcast Promo - Uncut! Watch for their promo on VEGCAST #6. VEGCAST main theme performed by Green Beings.